Conebeam CT – Would It Change The Way You Practice Endodontics? CBCT imaging is no longer a new technology. The take up of it in both specialist and general dental practice is accelerating but its presence is still not widespread in Australia. One possible reason for this is that it is not widely appreciated or accepted how it would change the practice of those already successfully undertaking endodontics. Through routine use of CBCT imaging as an adjunct to his endodontic practice of the past few years, Dr Stenhouse will present how this technology is both changing what cases he treats and how he treats them. Focussing on pre-treatment assessment, modification of treatment protocols, and detailed reviews of healing, Dr Stenhouse will highlight how the treatment of more cases in the right sorts of patients can be justified by using CBCT imaging to mitigate the biological and financial risks to patients. 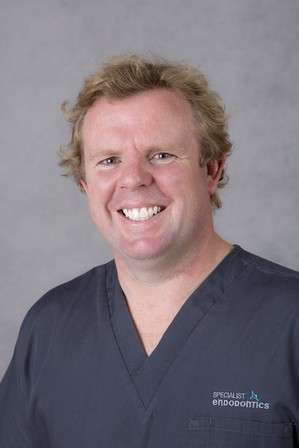 Dr Mark Stenhouse obtained his Bachelor of Dental Surgery from the University of Otago, New Zealand in 2001. He worked for several years as a general dentist in New Zealand, Australia and overseas in both public and private sector positions. During this time Mark became a Fellow of the Royal Australasian College of Dentistry before undertaking postgraduate study. In 2011, Mark graduated with a DClinDent (Endo) from the University of Adelaide where he carried out research in the field of endodontic microbiology. Today Mark works in private specialist practice in Newcastle and talks regularly at courses and to study groups on various aspects endodontics.